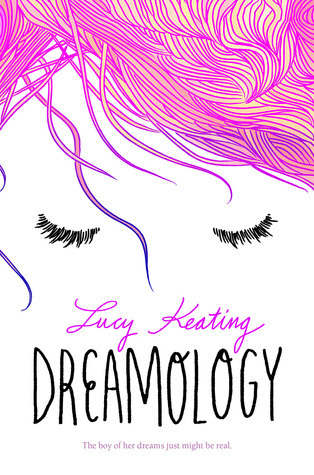 Swanky author Katy Upperman recently caught up with debut author Lucy Keating about her new YA speculative fiction/romance, DREAMOLOGY (Harper Teen, April 12, 2016). DREAMOLOGY is about a girl named Alice who has spent her life dreaming about the same boy, Max. Together they have traveled the world and fallen deliriously, hopelessly in love. There’s just one problem – Max doesn’t actually exist. Until Alice moves to Boston and finds him sitting next to her at school . . . very much alive and real. 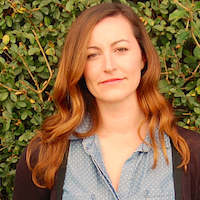 Author Bio: Lucy Keating is a writer living in Los Angeles, California. She grew up in Boston, Massachusetts, attended Williams College in the Berkshires, and still misses the East Coast very much. When she’s not writing, Lucy can usually be found obsessing over the latest music, inventing new flavors of ice cream, or having what she feels are perfectly acceptable conversations with her dog, Ernie. Find Lucy at her website, Twitter, Goodreads, Instagram, and Dreamology’s beautiful Tumblr. Katy: How did the idea for DREAMOLOGY take shape, and can you share a little about your writing process? Lucy: I’ve always had crazy dreams, poor sleep habits, walking and talking. Eventually you start to get older and you think “Why doesn’t this happen to everyone?” I began to look into it, how the brain itself dreams, what research has been done to learn more about it. I also would have dreams of people I had loved or dated, and always thought it was so weird that even though I hadn’t seen them in months or years, or wasn’t particularly hung up on them, they could feel so real in the dream. Like their memory had been tucked away for safe keeping in my subconscious. I wanted to play around with that idea, of someone you saw while you slept, who seemed so real even though you didn’t know them. And also the idea that being in love and dreaming are very similar. In both we behave in ways we might not normally. We believe things we might not otherwise. And when a dream and a relationship end, in each case we ask ourselves if it ever happened. In terms of process, when I write it’s important that I have an outline, something to chip away at, and a planned structure to keep me on track. I also worked for five years at Alloy Entertainment, creators of Gossip Girl, Vampire Diaries, etc, where they believe in a very strong “hook.” I always keep that in mind, what gives the book that special edge, but I also try and keep the heart of the story in mind as well. This isn’t just about a girl and boy who dream of each other. It is about love, and what love really means – how it’s not always perfect, and how we have to love someone for who they really are, flaws and all. Katy: Books about love – my favorite! What were your revisions like? Any noteworthy changes from 1st draft to finished novel? Another thing that happened from my original pages to what I submitted to publishers, was a tonal thing. I had worked in Teen publishing and TV for so long, I thought I knew how to write a teen book. Josh Bank, an old boss of mine at Alloy, read the manuscript and said, “You are weirder, funnier, and more emotional than this. Try it again.” I tried again, and this time I just sort of . . . talked at the page, and then everyone read it and were like “Yup. This is the right tone.” That was a great feeling. In the actual editing process, once Harper bought the book, I got a lot of feedback that Max was too mean. And people still think so! Believe it or not, I worked hard to warm him up, but I still stand by him as a Fitzwilliam Darcy type character. Someone who loves Alice deeply but struggles to communicate, and just wants to do the right thing. Katy: Aww, I love Max! He feels so real and authentically teen boy to me. 🙂 DREAMOLOGY is, at its core, a love story. What drew you to writing YA romance? Lucy: I’ve always been a hopeless romantic. Love stories have fascinated me from the very beginning, and I think young love in particular because it happens at a time when we are just starting to understand who we are, and the people we fall for and how we treat each other can greatly affect us. There are so many lessons to learn, but also so much possibility. If you have a big imagination, like me, younger characters are where my stories find the best homes. Katy: I’m partial to the name Max, and Alice is also adorable. How much consideration do you put into naming your characters? Any special reason you settled on Max and Alice? Katy: DREAMOLOGY has many dream sequences, which are vividly described and delightfully fanciful. Can you talk a bit about their inspiration? Lucy: Like many people, my dreams are crazy, but there is also a flow to them. I wanted these dreams to be surprising, but also for it to be clear how you got from one place to the other. It may be insane that an inner tube on a river becomes a giant cheerio in milk, but you can also kind of see why it did. I also wanted them to be warm and happy, because they are where Alice and Max go to escape. Otherwise, there wasn’t much inspiration. I just kind of stared at the page and thought, “Where is the coolest place this could go next?” And then I wrote that. Katy: Do you have creative pursuits other than writing? Lucy: I sing and play the guitar. I almost had a career in songwriting! But in the end it wasn’t for me. I am not much of a performer. But I still play a lot of covers, and occasionally write something new. I also really, really love photography. Katy: I love photography too, and I’m super envious of your musical skills! Now, imagine your perfect reader… How would you describe that person? 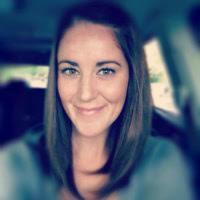 Lucy: Someone with a big imagination and a goofy sense of humor, who wants to be surprised. Instead I’m going to tell you about my craziest sleep habit. When I lived in NYC I started watching the TV show DEXTER, which I really shouldn’t have because I am a total wuss. But I couldn’t stop! I would watch it every night, and every morning I would wake up to find that I had pushed my bookshelf in front of my door while I was asleep. Dead serious. The Isabella Stewart Gardner, or maybe the Musee d’Orsay. Definitely plotter, except for the dream chapters! Best book you read as a teen? Instead of Write What You Know, my fiction professor taught us to write what we DON’T know about what we know. Sounds confusing, but really it means this: Nobody is going to find your life as interesting as you do. So take things you are familiar with, but change it enough so you can be sure you are creative a narrative that is exciting and fresh. About KISSING MAX HOLDEN: Seventeen-year-old aspiring pastry chef Jillian Eldridge is drawn to her neighbor, Max Holden, like sugar to butter. When Jill receives a late night visit from bad-boy Max, the result is an impulsive but sizzling kiss that leads to all sorts of trouble. Tags: Debut Club, DREAMOLOGY, Katy Upperman, Kissing Max Holden, Lucy Keating, YA romance, YA speculative fiction. Bookmark the permalink.